Dydd Gŵyl Dewi Hapus! Happy Saint David's Day From All At Thornham! 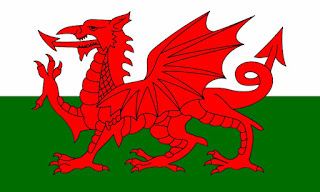 Saint David, or Dewi Sant, as he is known in Wales is the patron saint of Wales. Saint David's Day is celebrated on the 1st of March every year. The date was chosen in remembrance of the death of Saint David. 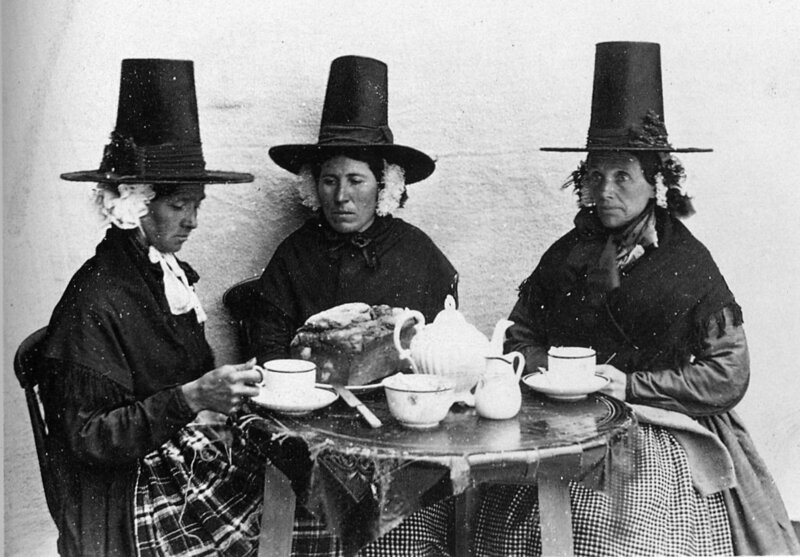 There are many Welsh Traditions that happen throughout Wales on Saint David's Day. I'm sure Jeanette remembers all too well going to school in her Welsh Woman costume. Every year parades are held in Wales to commemorate St. David. The largest of these is held in Cardiff and is formally attended by either the Queen of England or the Prince of Wales. Parades are a mixture of folklore and military tattoo. Children in Wales take part in school concerts or eisteddfodau, with recitation and singing being the main activities. The flag of Saint David often plays a central role in the celebrations and can be seen flying throughout Wales. Rub the fat into the sieved flour to make breadcrumbs. Add the sugar, dried fruit and then the egg. Mix to combine, then form a ball of dough, using a splash of milk if needed. Roll out the pastry until it is a 5mm/¼in thick and cut into rounds with a 7.5-10cm/3-4in fluted cutter. You now need a bake stone or a heavy iron griddle. Rub it with butter and wipe the excess away. Put it on to a direct heat and wait until it heats up, place the Welsh cakes on the griddle, turning once. They need about 2-3 minutes each side. Each side needs to be caramel brown before turning although some people I know like them almost burnt. Remove from the pan and dust with caster sugar while still warm. Some people leave out the dried fruit, and split them when cool and sandwich them together with jam.